Open the back zipper for added emphasis. 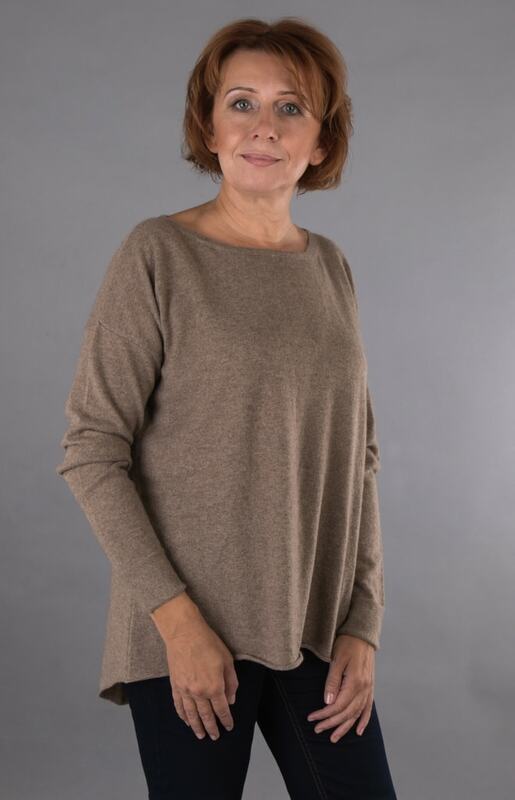 A boat neck with low underarm seams gives it a very good look, with the back being longer than the front. 7 cm garter stitch finishing on the cuffs and small ribbed finishing on the hem.